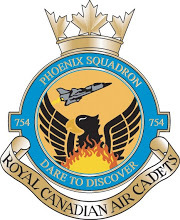 All cadets attending the FTX this weekend are expected to arrive at the squadron by 1700hrs on Friday. The Band will be performing at 1445hrs at Minoru Arenas in Richmond. We encourage all cadets not at the FTX to come out and support the band as they showcase what they have been working so hard for all year! Return trophies to squadron office by Wednesday, May 16 at the absolute latest.